If it’s been a while since you’ve read a Superman comic, now is probably the time to jump back in. Starting two months ago with the 41st issues of the flagship Superman and Action Comics titles, there is a new status quo for the Man of Steel, who has just had his secret identity outed to the public and his powers drastically reduced. However, if you feel like you need a primer on the past few years of stories before you jump in, here’s all you need to know. In 2011, DC Comics rebooted its whole line of comics with an initiative dubbed “The New 52.” The 52 is a reference to the number of new titles they launched that reset the legacy numbering they had been using since debuting Action Comics #1 in 1938. The basics of who Superman is, his origin, and the cast of supporting characters is basically the same in the New 52, but there are some small modifications. He was sporting a Kryptonian biotech version of his classic costume (sans red underwear), which has changed a couple of times but that may be gone for good now. In the past few months, DC has shown a surprising appetite for making big changes to some core aspects of the character. Clark Kent Has Been Superman For About 5 Years. Starting with the new Action Comics #1, Grant Morrison and Rags Morales showed us Superman when he first started out, set about 5 years before the current continuity. In the beginning, he wore an unassuming t-shirt and jeans and fought corrupt corporations and politicians. This underpowered Man of Steel was a nod to the origins of the character from the Golden Age of the 1940s. He couldn’t really fly but rather “leaped tall buildings in a single bound,” and was a champion of the people, not so much the entire universe. This take on the character, down to the t-shirt, comes back in a big way later on. This new iteration of Superman is markedly more reserved, lonely, and even more alien than we’ve seen previously. While he is driven to protect the people of his adopted home, he doesn’t feel like he fits in. This is likely the result of a big change to his backstory that we learned in Action Comics #17—Jonathan and Martha Kent died in a car crash when Clark was a teenager. In previous continuities, Ma and Pa Kent were alive and well in Smallville whenever Clark needed to reconnect with the normalcy of his rural American youth. That Smallville connection has at least been partially replaced by Lana Lang, Clark’s childhood friend who shows up in present day stories quite often. Lois Lane and Superman’s decades-long romantic tension culminated in 1998 with a wedding that remained in canon for over a decade. Now, post-reboot, Lois and Clark are simply very competitive colleagues. To DC’s credit, Lois is no longer defined by her obsession with Superman and even rose in professional stature to become Vice President of New Media for Morgan Edge’s news conglomerate (which owns the Daily Planet), but longtime fans find the emotional distance between Lois and Clark to be disappointing. Lois has been in a relationship with another journalist named Jonathan Carroll, and the strain between Lois and Clark only gets worse now when Lois exposes the truth that Superman is Clark Kent to the entire world. But there is this edition of Lois & Clark. In the upcoming Superman: Lois & Clark series, the married Clark Kent and Lois Lane from the pre-New 52 continuity are back. They are now trapped and in hiding in this new Earth, trying to raise their 9-year-old son Jon as if they are a normal family. "For Lois and Clark, it’s a world that they barely recognize...a place where they have to hide their true identities, “ says series writer Dan Jurgens, a veteran Superman writer who fans will remember from the classic “Death of Superman” story of the 1990s. "On the other hand, their son, Jon, embraces this world as his own. It’s the only one he’s ever known. In a way, it’s a bit of a classic immigrant story where the parents—unlike their kids—are a bit out of place." And Now We Have Diana & Clark. Without his parents and without Lois in his life, Superman has found a kindred spirit in Wonder Woman. The two most powerful members of the Justice League share a mutual feeling of disassociation from the people of Earth they have sworn to protect. In Justice League #12, their “kiss heard round the world” was captured on video and turned them into a celebrity power couple, making things awkward for their fellow League members. This relationship is explored on a monthly basis in the ongoing Superman/Wonder Woman series. It is one of the most significant changes in canon for both characters since the New 52 relaunch. Clark Kent Quit the Newspaper and Started Blogging. Clark Kent’s journalism career began at a Daily Planet competitor called The Daily Star (this is a nod to where he worked back in the comics of the 1940s), but he would soon join Lois and photographer Jimmy Olsen at the Planet. However, in Superman #13, Clark becomes fed up with the way the media conglomeration was making the paper focus more on “infotainment” than real news and quits in protest. From there he starts a blog and ironically ends up partnering with former Daily Planet entertainment reporter Cat Grant, which seems counter-productive to what he was trying to achieve. The whole blogging thing ends up being short-lived, and by Superman #33, Clark has returned to reporting for the Planet. Superman may be a loner, but he still has pals. In this new continuity, Jimmy Olsen is Clark Kent’s pal (they were even roommates for a time), but Clark takes their friendship to the next level in Superman #38 when he confides his secret to an unsuspecting Jimmy. As previously mentioned, Lana Lang remains Clark’s close friend and has known his secret since they were kids. She is Clark’s first love, but these days she is in a relationship with John Henry Irons—the hero known as Steel—whom she met when the Kryptonian villain Doomsday spread a devastating virus through Smallville, killing her parents. Supergirl is still Kal’s cousin from Krypton who crash landed in Siberia as a teenager. Since she hasn’t grown up on Earth like her cousin, she’s had a harder time adapting to her new home. Her frustration and difficulties in dealing with her rage led to her joining the Red Lantern Corps, ring-bearing heroes like the Green Lanterns whose power is driven by anger rather than fearlessness. Meanwhile, Superboy is not a young Kal-El but Kon-El, a clone of Lois and Clark’s son from a future timeline who is now a member of the Teen Titans. Superman’s other best pal is his dog Krypto. This version of the Kryptonian mutt is a little more like a dire wolf from Game of Thrones. He was the dog of the El family who got trapped in the Phantom zone protecting Jor-El, Lara, and baby Ka-El from the incarcerated prisoners inside it. Kal-El and Krypto were reunited in Action Comics #13 when a portal to the Phantom Zone is opened and Superman is sucked inside. Krypto now tends to hang out with Kon-El. Superman also has a pretty tight friendship with Batman despite getting off on the wrong foot in their early meetings. They share a title called Batman/Superman that has showed us those early days as well as current adventures. Lex Luthor Joined the Justice League. As far as Superman’s villains go, the biggest change might be the recent addition of Lex Luthor to the Justice League roster. After saving the world from the Crime Syndicate in the Forever Evil mini-series, Luthor took advantage of his public hero status to blackmail and manipulate his way into a League membership. Another classic Superman villain, Doomsday, came back in a big way in an epic storyline called "Superman: Doomed" that ran through all the various Superman titles for months. The Kryptonian villain is famous for killing Superman the 1992 “Death of Superman” comic, and is now on the loose and infected with a virus that destroys anything within a hundred yards of him. The Man of Steel has no choice but to not only kill his enemy, but to also inhale the toxic virus in order to save the world. Superman is transformed into a Doomsday-like version of himself, and it all ends up being an elaborate scheme devised by Braniac. Superman resolves it by trapping them both in a black hole, and it takes 60 days for Superman to eventually emerge virus-free. Superman Got a New Power, But it Comes With a Price. In issue #38 of the main title, Superman picks up his first new power since DC gave him heat vision back in 1949. The so-called Super Flare is less a power than an out-of-control by-product of said heat vision. After pushing it to its limits in a battle with a similarly super-powered being named Ulysses, Superman's entire body emits a solar flare that is so powerful it takes out everything around him and drains the rest of his powers for the next 24 hours, leaving him effectively human during that period of time. The Whole World Knows Clark Kent is Superman. By far the biggest change to the Superman mythos in decades is happening right now. Beginning in both Superman #41 and Action Comics #41, we find Superman with greatly decreased powers having just had his secret identity exposed to the world by Lois Lane. How exactly we got to this point is something that is still unfolding. Right now, this is the best the Superman line of comics has been in decades, and it's a great time for new readers to jump on in. Starting with Superman #41, award-winning graphic novelist Gene Luen Yang takes over as the new writer for a groundbreaking story of how the world finds out that Clark Kent is Superman. 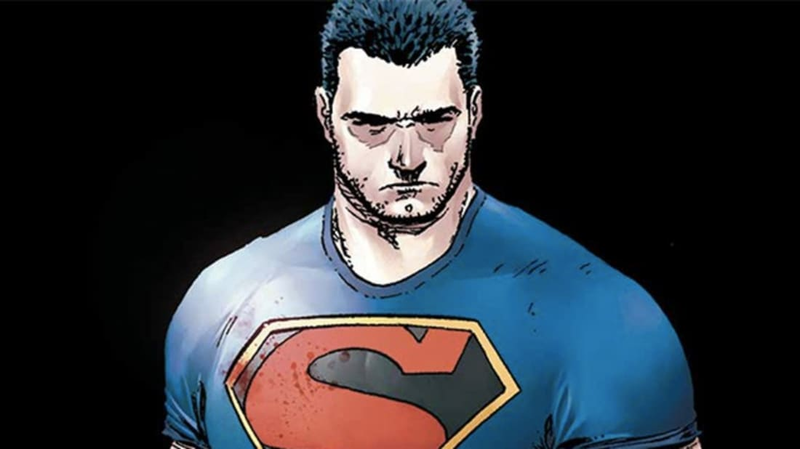 Over in Action Comics, Greg Pak and Aaron Kuder are jumping ahead to what happens next, with Superman sporting the old t-shirt and jeans look we saw back in the first issue of the rebooted Action Comics. In both books we’re seeing a very different, more human and even more angry Superman. "Our Superman looks different”, Yang says. "The cape is gone, as are the spit curl and tights. All that’s left, really, is the S-shield. He’s been depowered – he’s back to his original power set." Superman, created by two Jewish Americans (Jerry Siegel and Joe Shuster), has always been an allegory for the second-generation immigrant experience. Now, he is being written by two Asian-American writers (Greg Pak, a third-generation Korean-American, and Yang, a second-generation Chinese-American). "I’m planning to explore Superman’s role as American myth,” Yang says. "Now that he’s revealed to be Clark Kent, now that he’s not as strong, can people still believe in him as myth?" I know you’re curious about how this whole Superman/Wonder Woman relationship works, and it is well worth reading their series to find out. With issue #18, new writer Peter Tomasi and artist Doug Mahnke closely follow the events of Superman and Action but dig into how Superman’s decreased powers make for an interesting imbalance in Clark and Diana’s relationship (e.g., she has to carry him if they need to fly somewhere). Before this new storyline, the quality of a lot of the New 52 Superman comics has been fairly spotty. However, the highlight probably is Grant Morrison’s 18-issue run on Action Comics. Exploring Clark’s early days as Superman, it could be a little hard to follow at times, especially if you’re not used to Morrison’s unusual style of writing. In fact, much of it won’t even make sense until a second read-through when you realize he was planting seeds for some plot twists that pay off at the end. As for pre-New 52 comics, if your definitive version of Superman was the one played in the movies by Christopher Reeve, you’ll want to read Geoff Johns and Gary Frank’s retelling of Superman’s origins. Frank draws an eerily perfect Reeve Superman and Johns has one of the best handles on the character of any writer in the modern age. Grant Morrison and Frank Quitely’s 12-issue mini-series will go down in history as one of the best Superman comics ever made. Set outside of normal comics continuity, it is another attempt at a definitive take on the story and it succeeds on so many levels. It embraces many of the wacky Silver Age tropes of Superman comics from the 1960s and shows how great this character can be when surrounded by all that imaginative wonder.